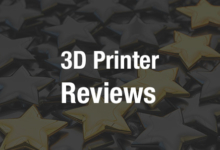 When we think of desktop FDM/FFF 3D printers, we typically picture a gantry style Cartesian-based machine, or a Delta robot style printer. These machines are capable of 3D printing objects based on three axes: X, Y, and Z. The X and Y axes make up the two-dimensional plane, while the Z axis is the third dimension, allowing for objects to be built up one layer at a time. For one University of Oslo Master’s student, named Øyvind Kallevik Grutle, this just wasn’t enough. Grutle, who needed to select a project for his Master’s thesis at the Norway-based university, decided to attempt to create a 3D printer that was capable of printing using 5 axes instead of the more conventional 3. The idea was actually that of his professor who wanted a student to build a 5-axis machine with some sort of tool attached to it. Grutle thought it would be interesting to create a 5-axis 3D printer, so that is exactly what he did. The proof of concept, which Grutle created, worked very well, so he decided to test out the two most obvious benefits that a 5-axis 3D printer should provide: the printing of smooth surfaces on planes other than the XY plane, and the printing of overhang structures without the need for support material. Grutle has so far created two different versions of his 5-axis 3D printer. The first version took him about 2-3 months to create, but he found that it had problems with the worm gear he chose to drive the A and C axes with. This convinced him that he needed to create a second version, called the “Pentarod,” which took him about a month to design and fabricate. It uses a FANUC Type I and Type II system, which seems to work much better. “The reason I chose to make it work with the FANUC system is because there is a lack of gcode generators for 5 axis 3D printing, and with the FANUC system I could create 5-axis milling paths for surfaces with HSMWork, and then modify it to work as gcode for the 3D printer,” Grutle tells us. Gruel, who is a 28-year-old student currently working for his Master’s degree in Robotics, plans to release the design files and instructions for this 5-axis 3D printer as an open source project, since it is based on a system from the RepRap community. He still hasn’t decided if he will develop it further or just release what he has created thus far. As you can see in the videos below, there are many great benefits to a 5-axis 3D printer like the one that Grutle has created. With this project going open source it will certainly be interesting to see just how quickly 5-axis 3D printing catches on. What do you think about Grutle’s 3D printer? Do you think this is the future of desktop 3D printing? 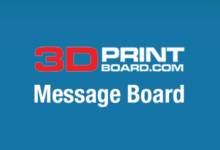 Discuss in the 5-Axis 3D Printer forum thread on 3DPB.com.